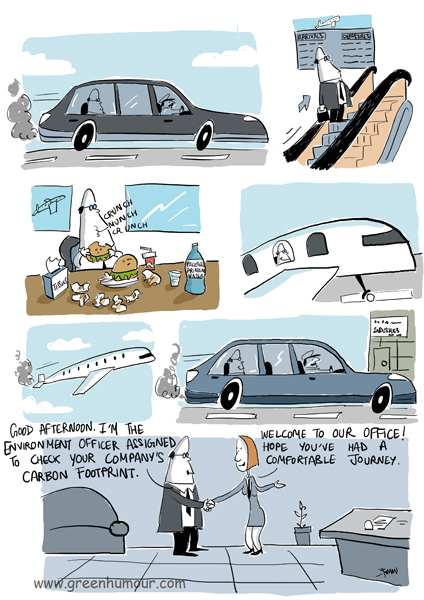 A cartoon on corporate sustainability that appeared in Sustainuance magazine last year, and on Gocomics last week- http://www.gocomics.com/green-humour/2014/11/25. You can follow updates on my Gocomics page by clicking on the 'plus' icon below the comic, if you haven't done that yet. Prints of the comic are available as posters that could go up on your office walls as a hypocrisy-check for your bosses and colleagues!